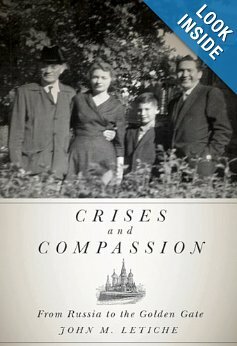 ‘Crises and Compassion is such a compelling memoir about an exceptional life! Thank you for sharing that story with Bill and me—and thank you for sharing it with the world by making the great effort to write down your incredible range of experiences. What a read! 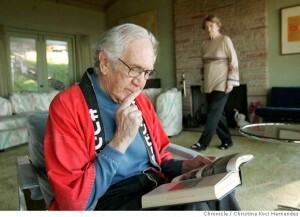 What a Life – and it seems a long way from over for renown Berkeley Economics Professor John Letiche! Now in his mid-90s, Letiche has written his fourteenth book, his fascinating memoir recounting an almost unbelievable journey from a childhood in Russia, rife with anti-semitism, to adviser of world leaders. The book reads almost like an adventure story in its real life drama, including a serendipitous marriage proposal, an eye-opening meeting with President Nixon and, later, historic conferences with the Council on Foreign Relations. One might expect a book written by an economics professor to be very dry and technical but this book, written sans ghostwriter, is easily readable for all ages and education levels. Letiche has a very colorful, yet concise writing style.